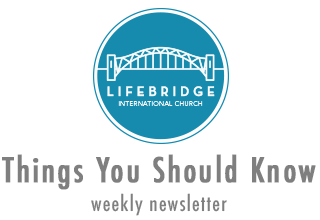 LifeBridge was launched just over 5 years ago with the vision of providing the community with an English speaking Church, for the international community living in Panama City, Panama. After Panama city saw a boom of expatriates it was clear that an English-speaking church was a necessity. It was at that time that Glenn Herschberger and his wife came to Panama City to plant and lead LifeBridge, with the help of a key leadership team. LifeBridge saw growth and it became even more evident the need and desire for this unique community. In 2013, Glenn and Susan were called back to the States to serve in a different role with Converge. LifeBridge continued to be a light in Panama because of the incredible leadership team that continued to faithfully meet and serve. In 2017, Nate and Jendi Korpi moved to Panama and have taken on the lead Pastor role. LifeBridge sees over 20+ nations represented on a Sunday and provides a community for Christ-followers for those who find Panama City home, whether it be for 2 weeks, 2 months, 2 years or a lifetime.